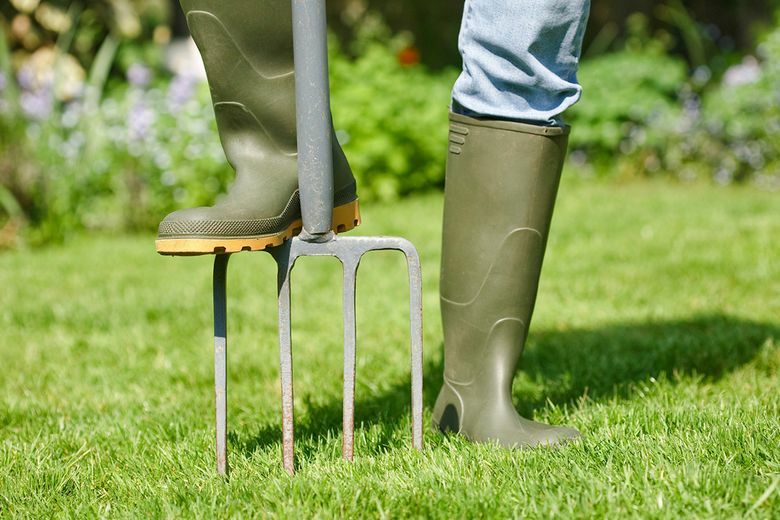 You can perform a basic aeration with a pitchfork or any tool that digs slim holes — just poke into the ground every few inches. Specific aeration tools are also available to buy or rent. You can even purchase special aeration shoes with two-inch spikes on the bottom that let you aerate the lawn simply by walking around.